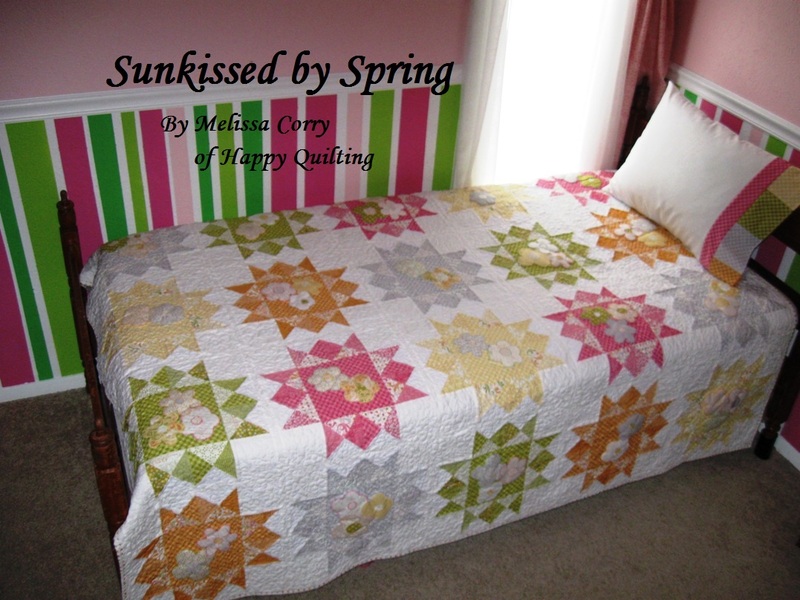 Happy Quilting: Sunkissed by Spring Is Here!!! Are you ready for some Spring Time "baked" goodness?? 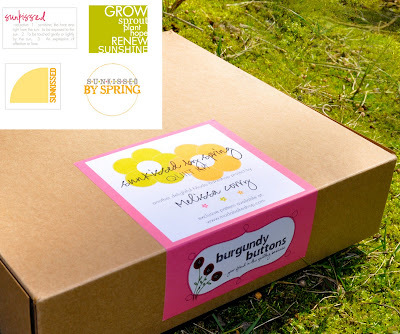 Sunkissed by Spring is out at the Moda Bake Shop today!! I simply loved working with the Sunkissed line by Sweetwater. You just can't help smile when you are working with such beautiful colors and prints. They are like a little ray of sunshine to brighten your day. Leah trekked through the mud to get this beautiful picture, love that lady!!! Beautiful quilt. Perfect for a little (or big) girl's room. What an adorable quilt....great job on the stripes. Such a beautiful quilt - and perfect for a little girl's bed! Wow you did a good job on those stripes and the quilt is beautiful. SO cute! You're really on a roll these days! Well, that is adorable beyond measure! LOVE it! and I thought that was wall paper...great idea to paint...hmmm....I like the idea, just not sure I'd have the patience to implement it. =) Great job! What lovely Spring Quilt. Very freshing colours. Great job....both the quilt and the stripes. I especially like the little appliqué flowers. This is awesome!!!! What a lovely quilt! Does Jessie get to keep it? Melissa, that is SO beautiful! Great job!!! I think this is the best one yet! How very bright and cute. You are amazing. this is just beautiful and named perfectly. It brings sunshine right into the room. Love love love it! Love the room. What a great price on the kit. I wish I didn't just have to replace my sewing machine or I'd buy it for sure. Grrrr think they'd hold one till my Birthday in June? tee hee hee. I wish! Looks beautiful - love the fabric! Those applique flowers really make the design. Love it! Melissa, your quilt is absolutely beautiful!! I love the Sunkissed fabric line and have been waiting to see a quilt made from this line. Thank you for sharing your beautiful quilt with us! It is so BEAUTIFUL!! I love it!! Love how the quilt goes with your decor. Very pretty and happy! Your quilt is gorgeous! Love it! Way to go!! It screams spring and is such a delight to the eyes!! Whoop whoop and thanks for linking up, Melissa!!! Your quilt is absolutely gorgeous!!! That is just beautiful! Wonderful quilting around those little appliques! So pretty! It's fun to see you at Sarah's!